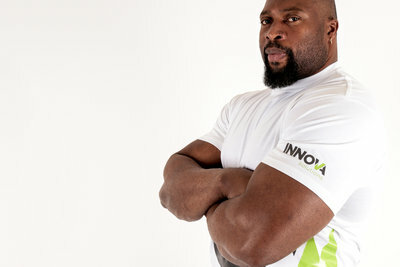 When Trawden based Innova Solutions needed a face to represent their range of high strength adhesives and bonding tapes strongman Mark Felix seemed like a strong fit. Lancashire legend, Felix, has an impressive record in competitive strongman events, regularly placed in the world top ten. Felix is famous for his incredible grip strength and in fact holds the current Rolling Thunder world record.